The application of MQL (Minimum Quantity Lubrication) technology in the machining processes offers a more efficient alternative to traditional coolant usage, especially when residues and the environmental aspects are a concern. MQL uses a minimum lubricant quantity instead of coolant. While coolants flood the area where tool and working piece touch in an attempt to cool it, MQL lubricant coats this area with a thin layer, reducing friction and heat. 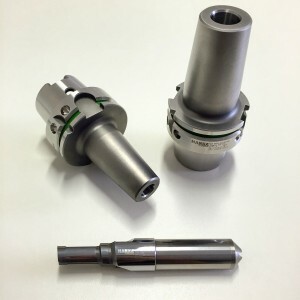 In order to meet this new demand Hanna Tools developed its line of MQL Tools and Tool Adapters.